of all the prophets (blessings of Allah be upon them). 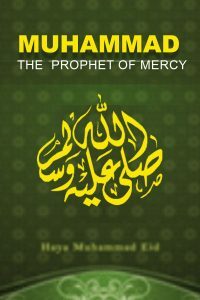 With Prophet Muhammad came the birth of the light that guides to the way of peace, mercy, and happiness. There has come to you from Allah a light and a plain Book wherewith Allah guides those who seek His Good Pleasure to the ways of peace, and He brings them out of darkness by His Will unto light, and guides them to a Straight Path. It is not possible to gather all the rays of this light in hands for humanity to read; but this book will try to draw closer to this most nobly-mannered man, to his Message and mercy, begging help and support only from Allah. bringing of humanity from darkness into light. The light that shines from within through worshiping Allah alone and being Muslim. The light of the three Heavenly Messages – Judaism, Christianity, and Islam – calling to the one true religion. One light sent by the One God.